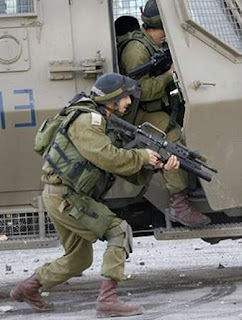 After the overthrow of a neighboring multi-year ruler of Egypt Hosni Mubarak, Israel has created rapid reaction forces in case the situation in Judea and Samaria gets out of control. It enhanced the guard of a number of military and civilian targets inside the country and abroad. Defense Minister Ehud Barak inspected the military units stationed near the northern border and made a number of important statements. New Israeli war preparations are consistent with the anxiety that has seized the Middle East in recent weeks. Recently Benny Ganz was appointed the new Chief of General Staff of Israel. Just like his predecessor, he had a career as a combat officer. One of his first decisions in his new position was separating of Haifa and a number of settlements located in the north of the country in a separate military district. This is not a formal change in the structure, but an important step aimed at strengthening of the defense of the North. In summer of 2006, it was Haifa and Kiryat Shmona that suffered the most from the attacks of the radical Lebanese Shiite organization Hezbollah. During a visit to battalion 932 "Granit" of the Infantry Brigade of IDF, Ehud Barak stated the possibility of a new invasion to Lebanon. This measure can be undertaken by the Israeli army in the event of another attack of Hezbollah. According to Benny Ganz, Israel is preparing for major military operations in the face of the external threat. Despite the requirement under the UN resolution 1701, the Lebanese resistance movement not only has failed to disarm, but also significantly strengthened its position. In response to the statements by Israeli Defense Minister, head of Hezbollah Sheik Hassan Nasrallah has warned that his fighters could occupy Galilee. The leader of the Lebanese resistance urged his supporters to take revenge on Israel for the death of a recently slain imam Mughni. Prime Minister Benjamin Netanyahu hinted that he did not regard these threats seriously. "Nasrallah declared today that he will conquer Galilee. I have news for him: he won't," RIA Novosti quoted the words of the Israeli Prime Minister. Currently, military power of Hezbollah is not that strong to win over the IDF tanks and infantry, but without any major victories on land the militants are unlikely to seize such a territory as Galileo. Nevertheless, there is a cause for concern for Israelis. According to the most conservative estimates, Hezbollah now has an arsenal of 40,000 rockets. In addition, a few months ago France supplied a small batch of the latest anti-tank grenade launchers to Lebanon, which can also cause troubles for the IDF units. This was the framework for Iran's maneuvers in the Mediterranean Sea. Poorly armed Iranian ships do not pose a direct military threat to Israel. Nevertheless, the attempt of the fleet of the Islamic Republic to pass through the Suez Canal (for the first time since 1979) is a landmark event for the entire Middle East. The events are somewhat reminiscent of the Agadir crisis of 1911, when the German gunboat Panther approached the shores of French Morocco. The incident was caused by the contradictions of colonial France and Germany in Africa. It was the Agadir crisis that showed the instability of the system of European security and became a forerunner of World War I in 1914. Israeli media bring attention to the fact that the Iranian vessels may be used to supply missiles to Hezbollah through Syria. At the same time there were some concerns about the concentration of large forces of the Egyptian army in Sinai. Nevertheless, the likelihood of a war with Egypt is not that significant compared to the threat posed by Hezbollah in the north and by Hamas in the Gaza Strip in the south. Numerous riots in the Arab countries are a factor of instability in the Gaza Strip and West Bank. The Israeli military are carefully monitoring the situation in the region and getting ready for the worst scenario. The militants of Hamas and other Palestinian militant groups are shelling Sderot and Ashkelon increasingly more often, and place explosive devices in the border areas. So far Israel's response is limited, but sooner or later the country's leaders may go for more drastic military measures.